Plot - This Japanese romantic movie tells a story about a shy train attendant who yearns for love in her life but lack self-confidence. Her life changes when she meets a film producer and took part in a road trip of her life. 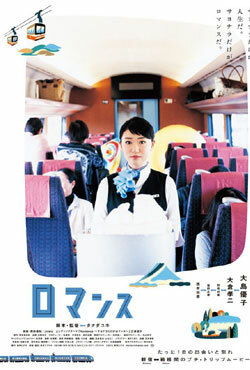 A shy and single Hachiko Hojo ironically works as train attendant on the Romance Car compartment. Her unexpected encounter with a middle age film producer Yoichi Sakuraba takes her on a road trip to visit tourist attractions in Hakone, Kanagawa. This trip lets her reflect on her past and she emerges with a positive outlook and self regard for her life. Box Office Earning of "Round Trip Heart"